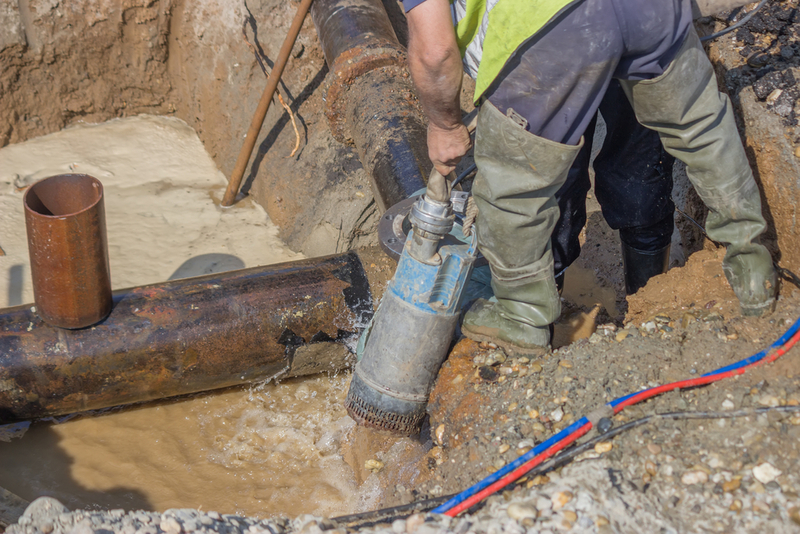 Dewatering involves controlling groundwater by pumping, to locally lower groundwater levels in the vicinity of the excavation. 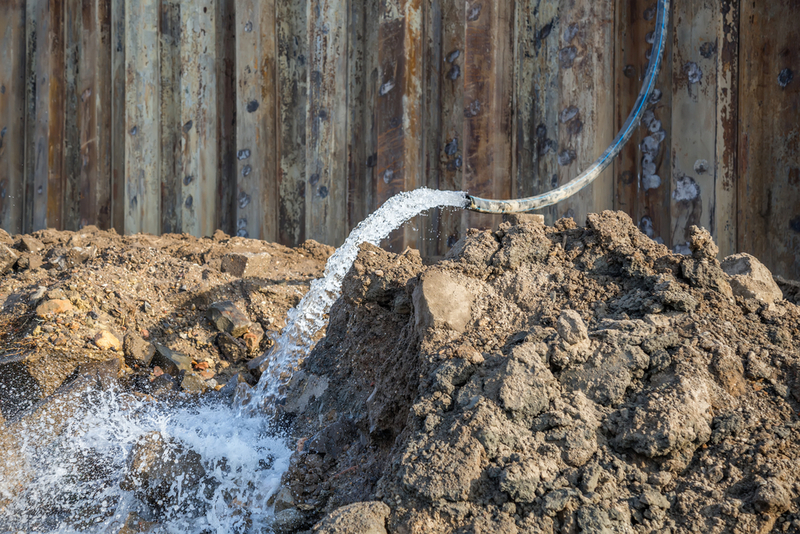 To stop groundwater seepage into the excavation and to ensure stability of excavation side slopes and base it may be necessary to lower groundwater level before the commencement of excavation. A deep well system consists of a group of bored wells pumped by submersible pumps. Pumping from each well reduces the groundwater level and creates a cone of depression or drawdown around itself. Several wells acting in combination can lower groundwater level over a wide area beneath an excavation. The technique can result in large drawdowns, limited only by the depth of the wells, and the hydrogeological conditions. The wells are generally placed just outside the area of proposed excavation, and are pumped by electric submersible pumps near the base of each well. Water collection pipes, power supply generators, electrical controls and monitoring systems are located at the surface. Wellpoint dewatering is used for excavations of shallow depths, especially for pipeline trench excavations. In appropriate ground conditions a wellpoint system can be installed speedily and made operational rapidly. A typical wellpoint system consists of a series of small diameters wells (known as wellpoints) connected via a header pipe, to the suction side of a suitable wellpoint pump. The pump creates a vacuum in the header pipe, drawing water up out of the ground.